Sick of SCORM yet? 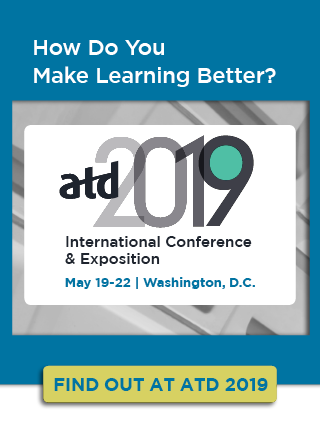 At the ATD 2017 International Conference & Exposition, you’ll see more xAPI (Experience API) in action than ever before: more sessions, more vendors, and more real working examples that take you beyond the confines of simple SCORM e-learning tracking. xAPI is an open specification for storing and retrieving records about learners and sharing that data across platforms. These records (known as activity statements) can be captured in a consistent format from any number of sources (learning record providers), and they are aggregated in a learning record store (LRS). The LRS is analogous to the SCORM database in an LMS, but it doesn’t do all the things that an LMS does. The x in xAPI is an abbreviation for "experience" because the record providers could be anything we interact with, not just traditional AICC- and SCORM-based e-learning. With xAPI you can track classroom activities, usage of performance support tools, participation in online communities, mentoring discussions, performance assessment, on-the-job activities and behaviors, and actual business results. All of this creates a full picture of an individual's learning experience and how that relates to her performance. With xAPI, L&D teams will have much better data to support more advanced analytics—looking both more deeply at the learning experience, as well as at the connection between learning and performance. This has made many learning professionals eager to get started with xAPI. But many wonder where to get started? Moving to xAPI is often just as much a strategic and change management decision as it is a technology decision. You can start with a big, high-visibility project or a small under-the-radar one, depending on your situation. Big strategic projects attract budget, resources, cross-functional collaboration and scrutiny. Leadership may demand: “We’re going to do this, and we’re going to do this right!” But that’s often a clear call for enhanced data to support decision making. Simply knowing how many people completed an e-learning course may not be enough information. In this case, going big—setting up an LRS (because most LMS products are not running fully xAPI-ready environments), using xAPI-ready courseware development tools, building custom software to gather data outside of e-learning, and establishing a learning analytics environments—is the way to go. It’s your big chance to get the resources you need to get started, and the management attention to bust through roadblocks when they appear. For big projects like this, L&D, IT, and the business are more encouraged to work together than be at odds with each other. Are you thinking, “Gosh, that’s just never going to happen where I work”? Then you may have a situation in which taking smaller steps will help you build your case, learn as you go, and quietly prepare your organization for a future xAPI implementation. It seems like every week I hear about another L&D team taking on a small quiet project, with free or inexpensive tools and a little bit of programming to start measuring more about the learning experience. As they do this, they learn who in the organization has the data and connections they need, how to navigate their single sign-on environment (or lack thereof), and how best to structure activity statements to get the best information out later on in their reporting. Without a big splashy announcement, these teams are leveraging the power of xAPI to get better data and make better decisions.